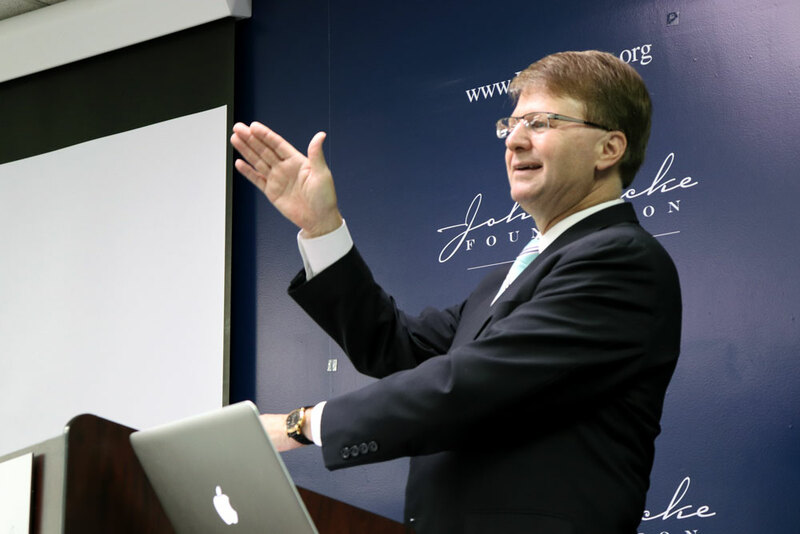 State Supreme Court Chief Justice Mark Martin spoke today at the John Locke Foundation about the North Carolina Commission on the Administration of Law and Justice he convened and the future of the court system. Martin talked mostly about court technology and an e-filing system that is in the process of being implemented but he also discussed some political issues, including raising the age of juvenile prosecution and the opioid epidemic. Martin explained that if a 16-year-old is arrested for stealing a $12 pendant from the mall, her name goes on the Internet and she quickly moves through the adult criminal system without a second thought and without any effort to restore the young person. He added that 49 other states have made the change to raise the age. Martin said there is certainly a fairness factor when it comes to raising the age, but there are also other considerations. Martin was also asked about his Commission’s stance on what crimes should be included in the raise the age effort. There has been some dispute among lawmakers about whether felonies should be included. He said 1,500 North Carolinians died of a drug overdose last year. He added that since 2010, there has been an 884 percent increase in heroin-related deaths. Martin recently accepted an invitation to join the Regional Judicial Opioid Initiative (RJOI), which is a working group of regional state court officials that was created to develop multi-state solutions and best practices for addressing the opioid epidemic.